Porsche Racing collector must have! This officially licesened German tool set from Hazet for Porsche Racing is a great addition to my automotive collectables. Great Hazet quality. Will be watching for more Porsche Motorsport items in the future! Nice color. The grips contour my hands just perfect. Very comfortable. 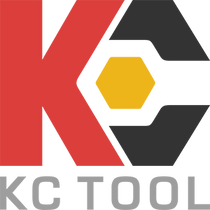 KC tool, is always a pleasure to deal with, I am totally happy with them. It is the screwdriver set that I purchased. Last year, I purchased a Hazet 163-184/6 screwdriver set. This year when I saw these, I thought to myself I really didn't need another set of screwdrivers, but being a Porsche Enthusiast, I justified buying these. I should have looked at them closer, they are nowhere near as nice as the first set of Hazet Screwdrivers I purchased. I took it for granted that with Porsche's heritage they wouldn't put their name on anything but the best, I was wrong. They are decent screwdrivers, just not as nice as the Hazet 163-184/6 set I bought last year. The feel in your hand and lack of Hex head on all the handles and shaft of the larger screwdrivers makes them more display pieces than a screwdriver I'd use compared to the Hazet 163-184/6 set. Had I known, I would not have purchased them. Awesome set and almost too nice to use. Would really like to see Hazet release more Porsche Motorsport line of tools.